As if by a spell, “The Chilling Adventures of Sabrina” has recently conjured up a trailer for season two, not to mention a magical premiere date, which will air on April 5, 2019. If you’ve seen season one, then you know the show takes a darker route than the original series “Sabrina The Teenage Witch” from your childhood. While some of the humor is the same, the plot thickens, and things are revealed that are quite shocking to the town of Greendale. The brand new trailer gives us a first look at what to expect from the new episodes. Sabrina rocks her new hair and darker look after the chilling events of season one. Just like the original “Sabrina The Teenage Witch,” Sabrina uses her powers to change into numerous outfits, plus we get more of beloved Salem the cat. Producers even say that Salem will be getting his own episode. 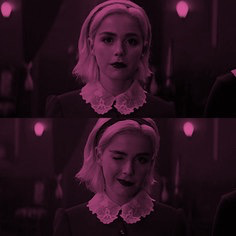 Sabrina actress Kiernan Shipka recently said in an interview, “I feel like we’re already in such a rhythm from coming out of the first season that to jump right into the second one was really, really fun and just a great opportunity to keep the momentum going.” She also mentioned that Sabrina’s character development definitely changes and shifts a lot. The second season will have a different spin than the first season. There will also be a few new characters added to the series, including “Buffy the Vampire Slayer” star Alexis Denisof and “Descendants’” Jedidiah Goodacre. But don’t worry, the whole main cast will be making a comeback. 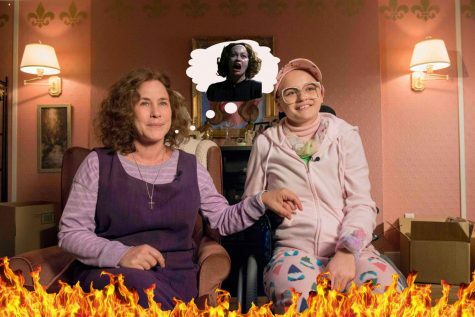 Although April may seem far away, “The Chilling Adventures of Sabrina” will be worth the wait! With plenty more dark adventures and a constantly twisting plot, the season will be something you don’t want to miss out on. Plus, everyone wants to know if Harvey and Sabrina will get back together and that is something fans can’t miss.